Do You Know The Dining Etiquette In Other Countries? When traveling internationally, you need to be sensitive to cultural differences. While some differences may be well-known and easily avoided, many missteps can occur while dining in other countries and partaking in local cuisine. 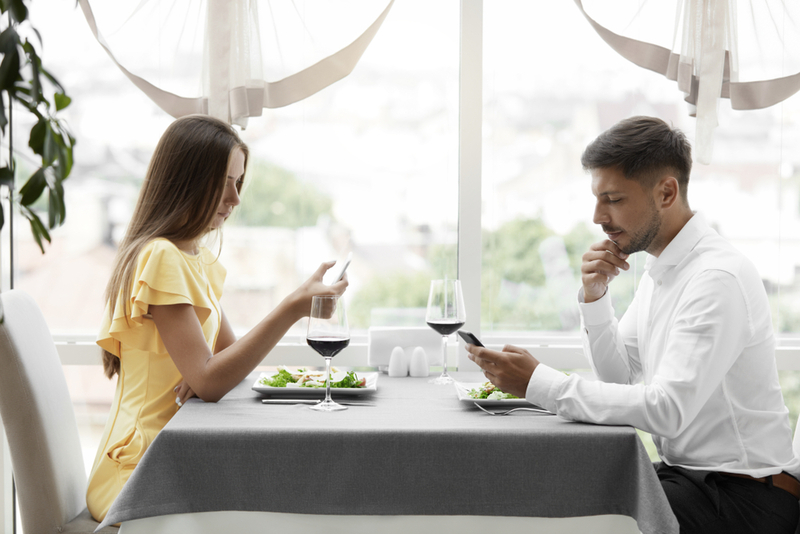 To help guide you away from possible faux-pas, we’ve compiled this handy guide to dining etiquette rules while living abroad. The primary utensil in most of Asia is chopsticks, so practice using them before you visit because you likely won’t be offered a fork when dining. When using chopsticks, you’ll want to avoid sticking them straight up in your food as it is considered disrespectful; use the chopstick rest provided. You’ll be given a fork if you’re in Thailand or other Southeast Asian countries. Don’t have a knife? Use the side of your fork or spoon to break your food down. And if you’re visiting India, be aware that in most parts it is disrespectful to request cuisine prepared with beef. In fact, selling cattle for slaughter was banned in 2017. While in Europe, be aware that dining is a big pastime here. Meals at restaurants are typically intricate and time-consuming, so try not to rush the staff through the experience. It’s also considered quite rude to ask for seasonings or condiments, as it insinuates the chef didn’t prepare your meal properly. This crime is seen as especially heinous when in Italy and asking for parmesan cheese for pizza. While waiting for your food, try to keep your noise level consistent with everyone else in the restaurants, as well. Americans are usually easily spotted by being the loudest in any establishment. And if you happen to be visiting England, here’s a fun rule: always remember to pass the port (an alcoholic beverage) to the left. Technically, the port is supposed to be poured and passed clockwise until it’s empty! African cuisine is all about sharing, so don’t expect your own plate or even your own set of utensils. Most meals are served with bread that is used as a utensil of sorts, sometimes with others placing it in your mouth for you. When eating, remember to use your right hand. Don’t be afraid to dig in; it’s fun and part of the communal experience. Being fashionably late in South America isn’t a bad thing! You might be seen as impolite if you show up on time. South Americans typically use fork and knife, and they don’t usually eat dinner until later in the evening. Like coffee? You’re in luck, South America produces a great deal of the world’s coffee. If you’re visiting an area that is primarily Muslim, be prepared to eat with your right hand only. Using your left hand while eating, even just to touch the plate, is generally frowned upon. It’s also customary for one to lick their fingers clean before using a napkin. Try to not refuse any food that is offered to you, since that it is a sign of disrespect in these areas. Many Islamic countries also refrain from serving pork, and it’s perceived as unclean to them. While traveling anywhere in the world, it’s always considered polite to thank your host and be appreciative for the food you’ve been offered. Every country, and sometimes even regions, have different nuances when it comes to behavior. If in doubt about how to navigate a dining situation, the biggest tip we have is to watch and learn. Observe the locals around you, ask questions to local friends and dive in. Figuring out the dining etiquette rules abroad shouldn’t be intimidating! What is an interesting dining rule, spoken or unspoken, that you remember from another country?